The site that has given you advance screening passes to the biggest films of the year is proud to offer you passes to see Captain America: The First Avenger on Wednesday, July 20 at 7PM in Sandy, Utah. As usual, to get your passes you must head over to Gofobo (click here). If you’re not already registered, you must do so now. Having a Gofobo account will get you into many more free advance screenings in the future. 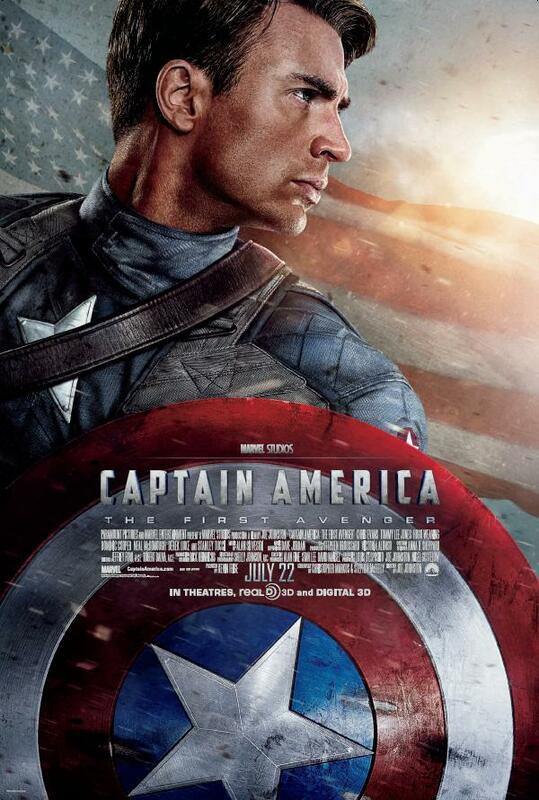 The big difference between our Captain America pass giveaway and most others is that these are ADMIT ONE passes only. If you want to go with a friend, family member or a spouse, they must print off their own pass as well. Chop-Chop! Get on it fast, because these passes are going to go quickly! Thanks for coming to The Reel Place and we look forward to seeing you at the screening of Captain America: The First Avenger! More ‘Captain Phillips’ Advance Screening Passes!